Remember the absurdly expensive Lumia bundle Nokia and Microsoft were selling both in Microsoft stores and on Amazon? 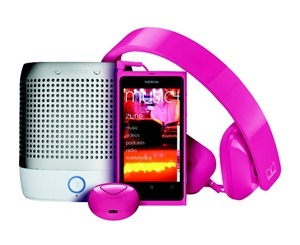 The Lumia 800 Entertainment bundle which consists of the Lumia 800, the Monster Nokia HD Purity Headphones, The Nokia Play 360, and Luna Bluetooth headset, it debuted with a $899 price tag back in February. Well now, you can get that same bundle online on the Microsoft Store website for $599, yup, thats also a $299 cut from the original $899, heck its even cheaper than the Nokia 808 Pureview alone, which is currently priced at $699!! Is this a good deal? why did Nokia choose to slash the price now? well ever since the confirmation that current lumia devices wouldn’t be getting the WP8 upgrade, sales have all but stopped, the value of the Lumia phones has dropped significantly, even the Lumia 900 got its At&t price slashed by half (from $99 to $49). I think Nokia is just trying to salvage what they can from their current Lumia range and as other bloggers put it, they are “clearing house” and what other way to do this than to sell the Lumia devices at dirt cheap prices. I guess we can start looking forward to Nokia WP8 phone.